With the constant uncertainty with the economy, an increasing number of us are looking at ways to make our money go further. There is no such thing as a permanent job these days, which is why it is important to stretch the pennies as far as possible, in case the worst happens. If you can afford to put some money away each month, you will reap the rewards in the long run. There are various ways you can make your money last longer, some will offer instant benefits, while others will be more of a long term investment. 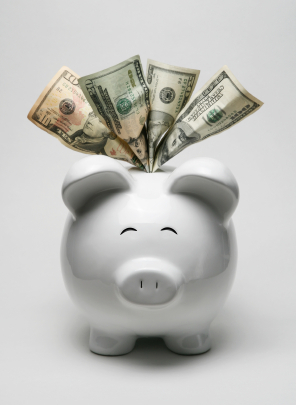 The most obvious way to save money is to open a savings account to your portfolio of banking accounts. There are many different types of savings accounts, including those offered by banks or the ISA. You may also wish to consider using your local credit union for saving your money. It is important to look around and find out what rates are being offered, as you will find that these will differ greatly. A good place to start is with a price comparison website, as these will give you the best options based on your individual circumstances. The ISA is a good way to save to maximise your returns, as you don’t pay tax on the interest. The stocks and shares ISA is ideal for long term investment, in the same way as online investment management. If you are looking towards the future, an online investment management approach may be the best option for you. The service offered by Nutmeg above will allow you to maximise your savings by allowing the experts (their employee line-up is seriously impressive for such a young brand) to invest on your behalf. Of course, there are risks involved in this, but you can choose the level of risk (low, medium or high) and you could get some good returns back on your money. You can also keep an eye on your investment, simply by logging into your account. There are some banks who are actually offering better benefits with their current accounts than with their savings accounts. Again, it pays to look around and compare different rates. There are plenty of options for earning cashback on your purchases, as well as rewards for using your credit card. These also differ, so you should look around and find the best deals. A simple but effective way to save your money is to throw your change into a jar or box and watch it all add up. If you save like this over the year, you could soon find that you have saved a few hundred by the end of the year. There are many banks who provide cash counting machines, so all you have to do is put your money through a machine and it will go straight to your bank account. This is better than using the machines at supermarkets, as they take a percentage cut from your funds.